Before you let your dog finish off your plate full of leftovers this Thanksgiving, take a close look to make sure no unsafe foods are present. Many traditional Thanksgiving foods can make your pet very sick. Make sure you, your friends, and your family know ahead of time what’s safe and what isn’t so no one accidentally poisons your pet! In general, it’s good to keep in mind that when it comes to feeding people food to our pets, even if it’s considered “safe,” too much of anything will likely make your pet sick. He could end up vomiting or with diarrhea, gas, an upset stomach, or possibly even pancreatitis. You may think your dog deserves some extra (food) love this Thanksgiving, but if you take into consideration the possible consequences, you may want to reconsider. Here are several foods and dishes many of us see on the table at Thanksgiving. Some are safe for pets and others are not. The best and safest option is always to keep your pet on his normal diet throughout the holidays. However, you may want to allow your pet to indulge in some of the delectables of the season, and we can understand that. Just make sure to keep the foods marked as unsafe away from your pet and to not give him too much of the good stuff. Instead of giving your dog a scoop of green bean casserole (which may contain harmful ingredients, depending on how you make it) offer him some plain green beans. This vegetable is safe, and your pet might just love it! This can be very dangerous for a pet to ingest. Raw yeast bread dough continues to expand once inside your pet’s stomach as it converts the sugars into carbon dioxide gas and alcohol. Your pet could become bloated and drunk, possibly even to the point where his life is in danger. Pets and humans alike should refrain from eating cake batter with raw eggs in it. Other cake batter ingredients like sugar are also unhealthy for dogs and cats. You can give your pet a little turkey if it’s fully cooked and you remove all the bones, skin, and extra fat first. Lean protein is healthy for cats and dogs. Stick to white meat as much as possible. What do all of these have in common? They’re alliums (bulbous herbs). Don’t feed your dog any dish (such as potatoes or stuffing) with any of these in them. If your pet ingests a large quantity of any allium, he could develop anemia. Everyone knows this one. Don’t give your pet chocolate of any kind or any baked good that contains chocolate. Baking chocolate is especially toxic to dogs and cats because it contains the highest concentrations of caffeine and theobromine. You may think, “fruit’s healthy for me, so it’s healthy for Fido!” This is untrue. 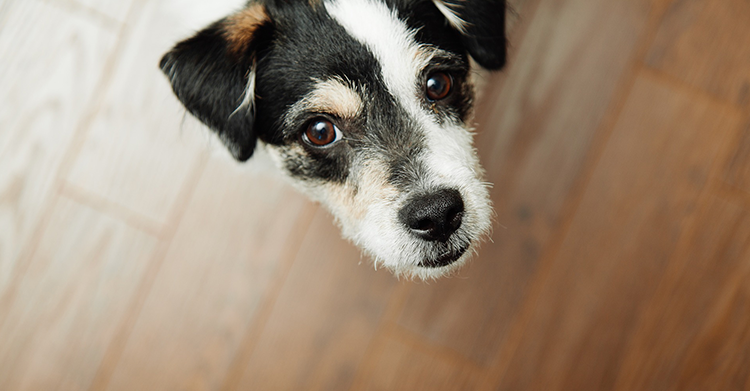 Grapes and raisins are actually toxic for pets. In fact, they have been known to cause kidney failure in dogs. As long as he isn’t affected by dairy, macaroni and cheese could be a safe dish to share with your pet. Many dogs and cats are lactose intolerant; some are not. If you are unsure, give your dog a little plain macaroni without the cheese and milk. Mashed potatoes (regular or sweet potatoes) are safe for pets to ingest as long as they’re plain and mashed. Don’t feed your dog potatoes with onions, spices, sweeteners, herbs, cheese, sour cream, butter, or gravy. Giving your pet a small portion of cranberry sauce is okay, but if it contains a lot of sugar, you may want to reconsider. Anything with xylitol in it is off limits. This often includes gum, candy, toothpaste, mouthwash, and baked goods made with artificial sweeteners. If your pet does ingest this sugar substitute, he might vomit or experience seizures, loss of coordination, or liver failure. Don’t give your pet any alcohol, ever. Even a very small amount could be toxic. Also watch any dishes or baked items that may contain alcohol. Your pet could still get alcohol poisoning from fully cooked foods. You may be surprised about this one, but turkey or ham bones or any other leftover carcasses are off limits! The bones could splinter inside your pet’s throat, get stuck and cause choking, or even puncture your pet’s digestive tract. 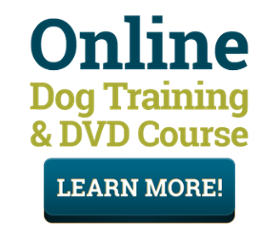 If you’re looking for a great way to train your dog from the comfort of your own home, look no further! We have a great dog training course that delivers results! Order our DVD course, or check out the online version and gain access to it immediately! If you have any questions about our training course or your dog specifically, contact us. We’d love to hear from you!